After a full week of heavy fog, it was a joy to have a much clearer day as 51 members travelled to Helmsley, stopping for coffee at Thirsk. 20 members set out on the ‘A’ walk (11 miles) following the Cleveland Way to Rievaulx Abbey then taking tracks to Oscars Farm, Collier Hag Wood and descending through Borough Beck Dale back to Helmsley. During the walk the ‘A’ party came across a patch of white wild pansies, quite unusual I think. Meanwhile, 27 members did a ‘B’ walk to Rievaulx Abbey, following the same track as the ‘A’ party. 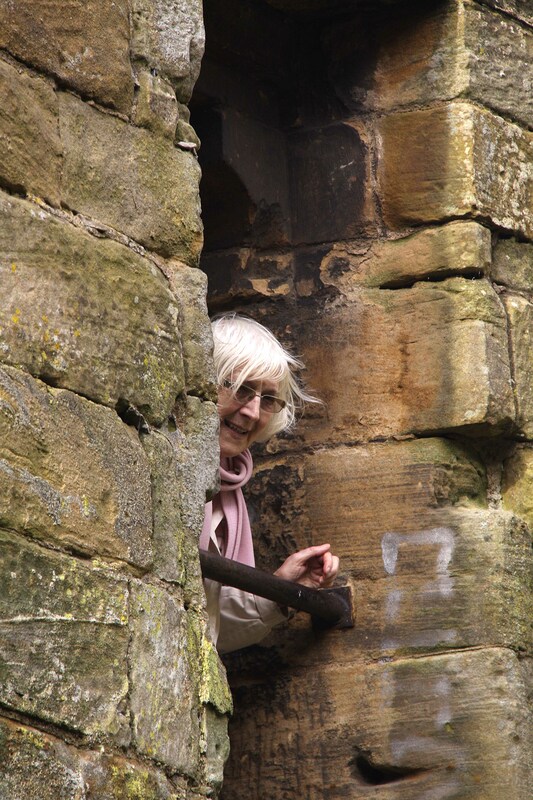 After spending time at the Abbey, they returned to Helmsley along the same route. In addition to these two walks, a party of 2 opted to walk within the parkland of Duncombe Park, which is the seat of the Duncombe family whose senior member takes the title Baron Feversham. After paying £1 each entrance fee we were given a map and set away passing a bird of prey demonstration in progress with a hawk flying directly above us and landing on the ground nearby. The walk comprised a mixture of field and woodland tracks followed by a stroll alongside the River Rye to eventually return to the entrance gates of the estate. We saw a male brimstone butterfly, bright yellow in colour and this is where the name ‘butter-fly’ comes from; the female is a paler white-green. The evening stop was spent in Thirsk. 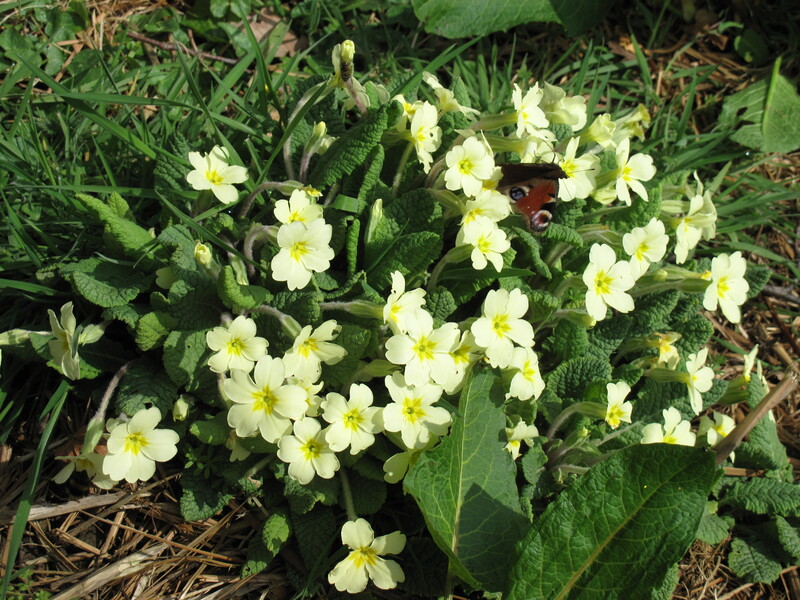 This entry was posted in Summer walks, What we saw and tagged Helmsley, Primroses. Bookmark the permalink.